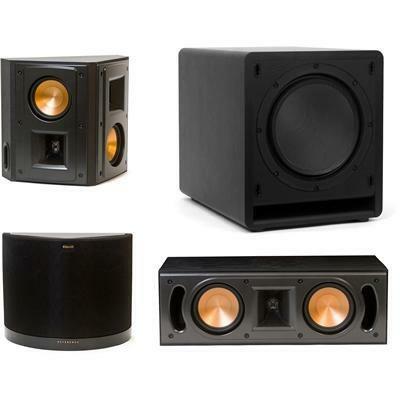 Comprised of five speakers – left and right main speakers, a center channel speaker, left and right surround speakers and a subwoofer for deep-reaching bass – the 5.1 Klipsch home theater system will envelop you in high-performance sound. 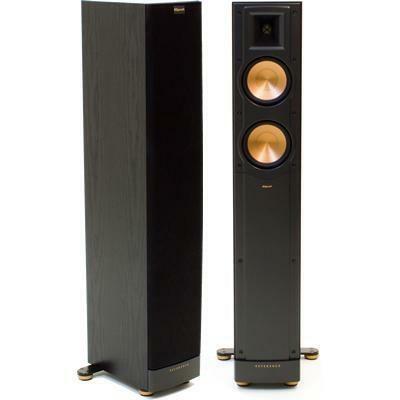 By combining the Reference II speakers, listening experiences are transformed into unforgettable, powerful and emotional moments. Package includes: RF-42 II x 2, RC-42II, RS-42 II x 2, SW110. Brand/Model Specific Features Fills any room with high-powered bass; Highly efficient design produces more output using less energ; Stylish, compact subwoofer looks as good as it sounds; A highly damped, non-resonant woven fiberglass driver combined with an advanced front slot port produce tight musical bass; A BASH® Digital Hybrid amplifier delivers efficient and reliable high-powered sound. 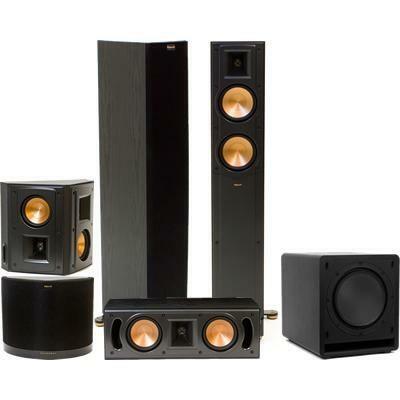 Brand/Model Specific Features Package includes: RF-42 II x 2, RC-42 II, RS-42 II x 2, SW110.